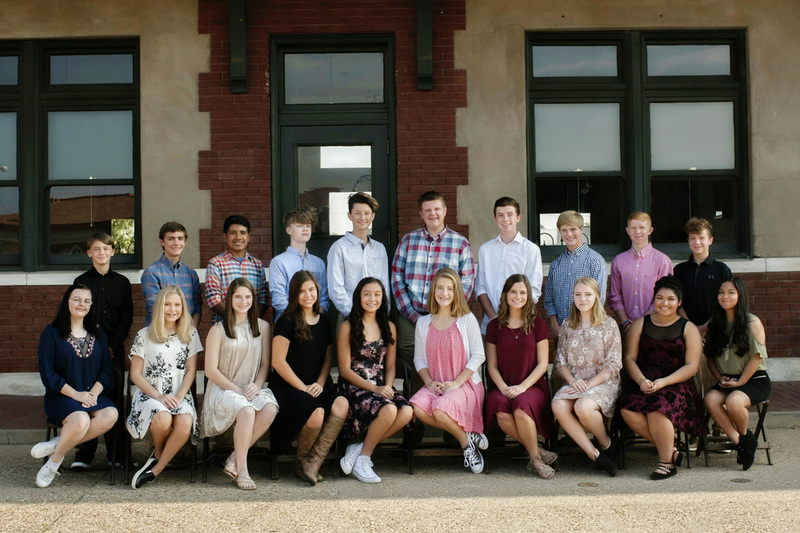 RJHS Color's Day Court was announced last week. This year's maids, in order from left to right, are Sophia Lacaze, Amelia Pilkington, Ruthie Jacimore, Gabby Adkins, Sara Valazquez, Elizabeth Griffin, Haley Rogers, Tessa Swann, Yanet Loaeza Ponce, and Jennifer Portillo. This year's escorts, in order from left to right, are John "Connor" Kennedy, Jeremy Wilkins, Samuel Arizaga, Daniel "Wade" Tullous, Dylan Deavours, Jacob Narveson, Reid Wolfe, Brady Burnett, Findley Golden, and Noah Apple. The Court will be presented and the King and Queen announced during the Color's Day pep rally on Thursday, October 5th, at 2:00pm. RJHS invites everyone to come and join the festivities on Thursday afternoon. Go Whirlwinds!! !